Dental care means brushing your teeth each day and visit a dental office for checkups and cleanings. Your dentist can provide you with different services to keep teeth and gums healthy. Professional services can also avoid you to lose your teeth too early. A diet rich in fruits, whole grains and vegetables will help your oral health. Children, pregnant women, seniors, retired people have to pay particular attention to their mouth health. 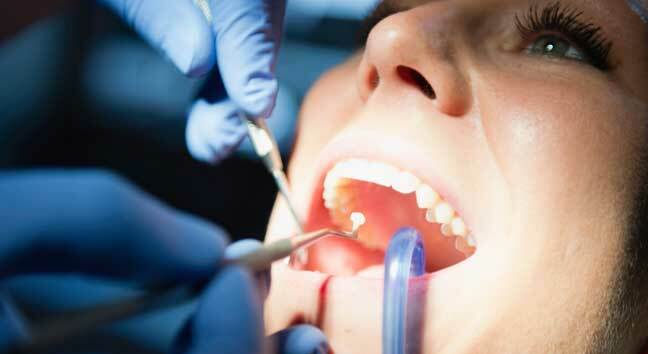 HIV patients and diabetics also need special dental care due to their diseases. 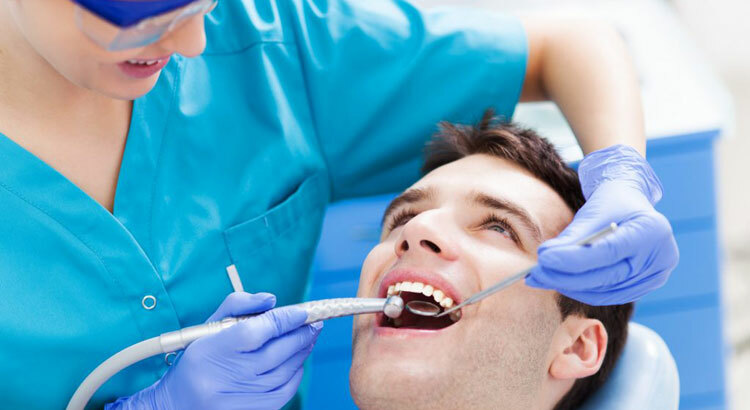 Before to see what are dental care services and who can provide them, it is necessary to mention that there are many different types of dentists (DDS — doctor of dental surgery, DMD — doctor of dental medicine) related to recognized dental specialties. General dentists differ from specialists because the firsts received a general knowledge in all dentistry areas while specialists, in addition, have more knowledge in the dental specialty they chose to focus on spending two to six more years in education. So, what are the most common dental care services provided by dentists ? General or family dentists are the main providers of dental care to people of all ages from teens to seniors. When you go for a routine visit you get a full mouth examination including teeth, gums oral structures such as mandibular articulation. In order to discover hidden pathologies, the dentist will take X-rays exam. In this way it is more easy to find out caries in between teeth (especially back teeth, the most hard to keep clean) and prevent or treat rotten teeth in children, pregnant women and adults. 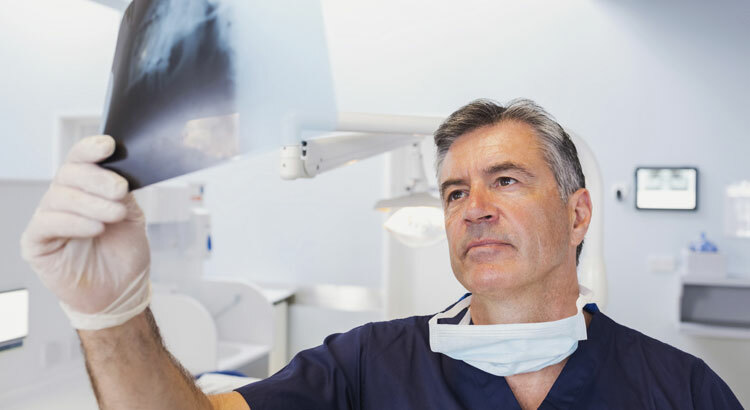 In addition, X-rays can reveal how deep a tooth cavity is and indicates the dentist whether the root canal therapy is required in order to prevent or treat a tooth infection. In some cases antibiotics prevent the dental abscess infection to spread to other parts of the body such as: ear, neck and brain. Routine visits by the family dentist help to take under control how children teeth grow including third molars. If those last dental elements have a strange position or are retained, your general dentist may advise you to get your wisdom teeth removed. The professional cleaning done by a dentist or a dental hygienist every 6 months will make your teeth to last longer. 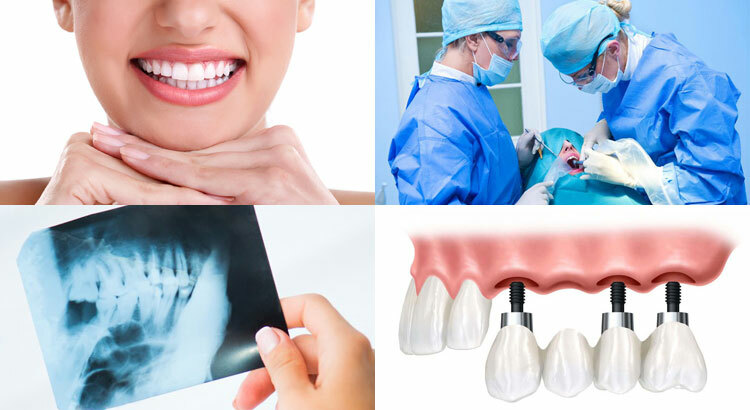 Implants dentistry can help people who are missing one or more teeth to replace them by dental implants used as dental roots to support prosthetic crowns or implants retained dentures (full dental arch). Your dentist or oral surgeon will screw dental implants in your jawbone and, if they are immediately ready to support the prosthetic device, you can leave the dental office with your new teeth otherwise you need to wait for the healing time. A single dental implant is useful to replace a lower or upper single tooth you lost due to periodontal disease or trauma. A single implant is better than a conventional dental bridge because the dentist doesn’t have to reduce the neighboring teeth to provide the requested support to the bridge. Before to proceed with the surgery, the specialist has to be sure you have the right jawbone quantity otherwise implants cannot be taken in place and fail. Senior patients or long time dentures wearers do not have to worry about their poor bone quantity because this problem can be solved by surgically add extra bone material and waiting for the integration. This procedure is called bone grafting and it is necessary to hold your future implants. If for whatever reason the surgery procedure to add bone to your jaw is too invasive for you, there is an additional option. Instead of to add bone, waiting for the integration and place the screws, your dentist may propose you zygomatic implants that are longer than conventional one because they anchor to the cheek bone. There also are implants that are shorter than standard one. They are called mini dental implants and are used to stabilize dentures in your mouth. In other words, with mini implants you can always take the dentures out of your mouth any time you want but when you put them back they are kept firmly in place by the mini implants; in this way you can be sure dentures won’t move around while talking or eating. Usually implants are made by titanium but there are people who allergic to this metal so a few dental implants brands started to put on the market zirconia implants also called ceramic implants. This particular material provide several advantages over titanium. zirconium dioxide is hypoallergenic and doesn’t conduct any electrical charge so it is compatible with holistic dentistry approach. There are several types of dentures and they are the most affordable way to replace all or part of your dental elements. When a patient still has a few teeth in his/her mouth and they are in good health, the prosthodontist can propose two different option replacement. First removable partial dentures with metal framework and hooks that anchor to the remaining natural teeth. This solution is the most cheap and functional but more people feel uncomfortable with them because metal hooks are visible so it is easy to recognize when a person is wearing prosthesis like that. Patients who want a more aesthetic solution can choose nylon or flexible dentures without metal hooks that are replaced by nylon material that surround the remaining teeth providing the required support. In case of your mouth makeover requires all your teeth removed, the dentist will not leave you without teeth. For this situation there are temporary prosthesis called immediate dentures you can wear immediately after teeth extraction or dental implants placement. 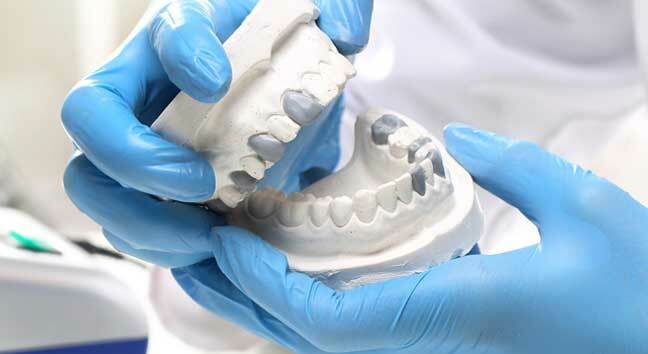 Six or eight months after dentures delivery, you may feel your fake teeth loss. The reason is that after extractions gums and bone reshape and shrink so dentures are no more stable like the firsts days. In order to solve this unpleasant problem you can use dentures adhesive or ask your dentist to provide you with the denture reline or rebase service. The doctor will add soft plastic material to the inside part of the dentures base so they will fit your gums well again. Do you know what happen in your mouth 20 min after each meal ? Little parts of food remain in between your teeth. Mouth bacteria eat them and grow in number. A sticky film called plaque appears and starts to destroy the tooth visible part (enamel). Dentists call this disease tooth decay. If you do not wash plaque away, it becomes hard and visible at the tooth base; its name is tartar. While plaque creates holes in the enamel tartar attacks the gum tissue. Gums become inflamed, red, swollen, bleeding and painful. How can I care of my teeth at home ? Adults have to care of their teeth if they want to keep them for a lifetime and avoid early loss. So what are the best and simple practices to maintain clean teeth ? 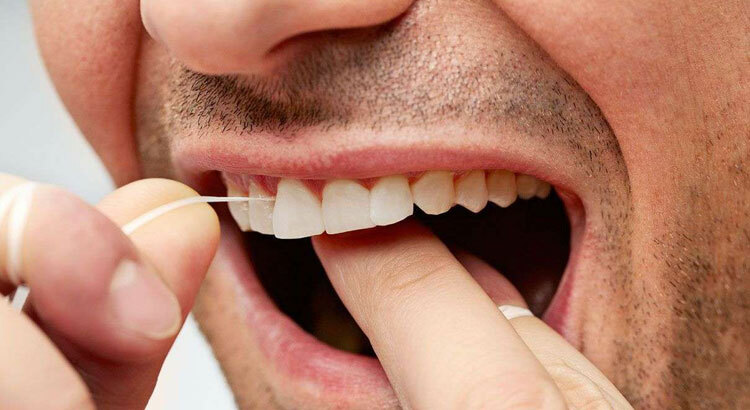 First of all flossing (take a look at this article: best floss picks vs regular floss) ! You may wonder that I mentioned flossing before brushing but it is exactly in this way. Dentists recommend to remove plaque between your teeth and from your gums first. This procedure keeps your gums from getting inflamed. It prevents gum disease and gingivitis. It is a good habit to floss once a day especially in the evening, before to go to sleep. The second step of daily dental care is brushing your teeth at least twice a day, one minute per dental arch. This helps you to remove plaque from all tooth surfaces and avoid caries. Be sure to use an appropriate toothbrush with medium or soft bristles. Too hard bristles may irritate your gums. Remember to replace your toothbrush every 3 to 4 months. Worn-out toothbrush-bristles cannot remove plaque properly. Consider the possibility to switch to electric dental care tools. 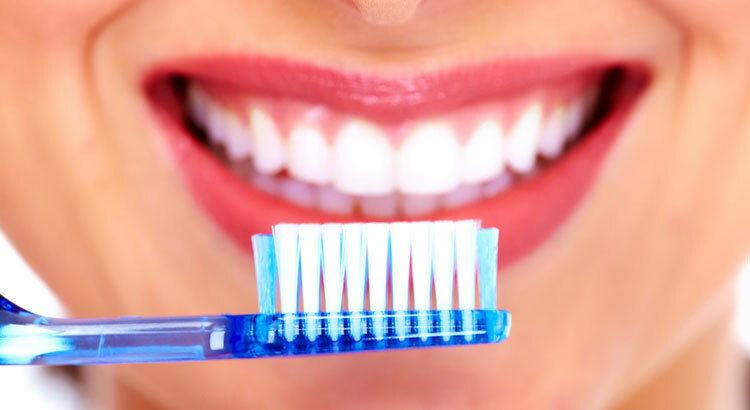 Studies shown that electric toothbrush removes more plaque than manual one. American Dental Association recommends toothpaste with fluoride. This ingredient helps to strength the tooth enamel so it will be more difficult for plaque to attack it. Do not forget to clean your tongue. There are different tongue scrapers on the market that will help you to remove bacteria better and faster. 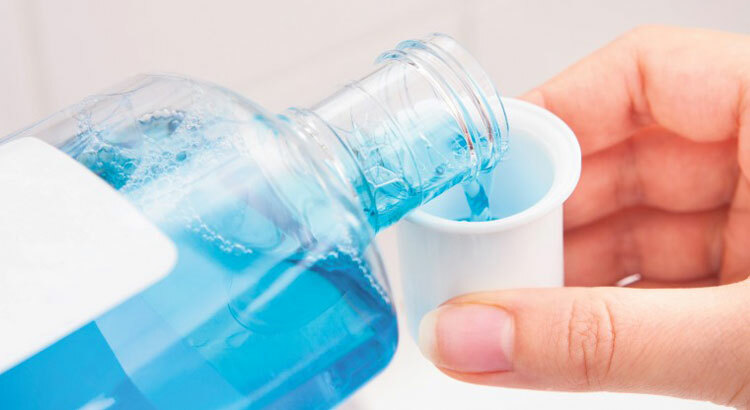 A good quality antibacterial mouthwash with chlorhexidine can help to take mouth bacteria under control. Magic mouthwash is indicated to treat mouth sores or oral mucositis caused by radiation therapy. For a good dental care leave bad habits. Quit to smoke and avoid to breath secondhand smoke. Tobacco smoke may cause gum disease and oral cancer. In addition, nicotine stains and yellows teeth. Eat healthy food like whole grains, fruits and vegetables. A balanced diet can provide your body with the right vitamins and minerals. 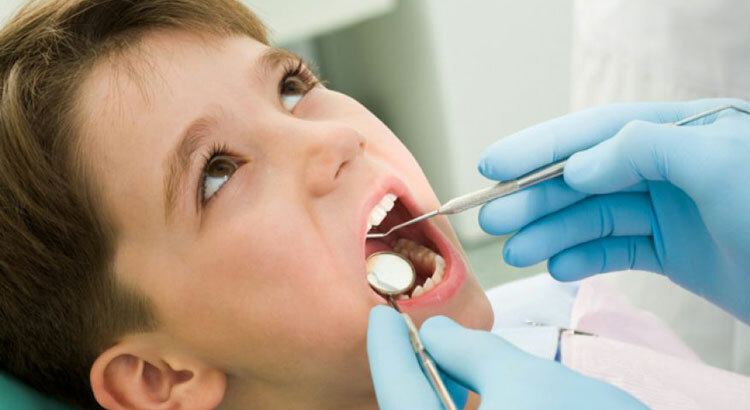 How to take care of your children’s teeth ? The primary teeth are already present in the jaws at birth. It is necessary to start cleaning the baby’s mouth from the very first few days after birth. The procedure is very easy: use a moist gauze or washcloth to wipe the baby gums. As soon as the first front teeth appear, they are at risk of decay. Begin to brush your child’s teeth by using fluoride toothpaste. When two teeth touch together, it is the right time to start to floss. At least once a day before to put the child to sleep. A good home dental care can help to protect your child’s teeth for the future. When children can clean their teeth by their self, pay attention they use the right amount of toothpaste. Ensure they do not omit to brush back teeth. Premolars, molars and even wisdom teeth coming in are the most difficult to keep clean. Water irrigations are also very helpful to maintain children dental health care especially if they get braces. It is hard to remove small food pieces from brackets. Water does the job much more better. Avoid your children eat sticky food like: honey, dried fruit, caramel, and chewing gum. Full sugar drinks also are very bad for teeth and for health In general. Professional dental care services at the dentist. Brushing and flossing are a must but it is not enough. It is necessary to visit a dentist and an dental hygienist to get professional dental care services. What may happen if I don’t see the dentist for the routine checkup ? At home you cannot clean your gums and teeth properly, even if you do your best. Plaque accumulates and may lead to tartar. Plaque creates caries and tartar inflames gums causing bad breath and gum disease. If you continue to ignore this bad mouth condition it gets worse. Gum disease makes your jawbone to reabsorb. Without bone support your teeth cannot stay in place and you lose them. Professional dental care at the dentist helps you to prevent things get worse. Here is a list of the most common teeth problems you may experience. Cavities, which are holes in the tooth enamel. Gingivitis, which are swollen, inflamed, and bleeding gums. Periodontitis, is the destruction of the bone that support the teeth. Often leading to tooth loss. Dental abscess, toothache, inability to chew. Gum boil (also known as gum abscess). When do I have to visit a dental office and a dental hygienist ? The answer is easy ! Dentists always advice patients to get a full mouth examination and professional teeth cleanings two times a year. During the examination, your dentist will take X-rays. Radiology exams are useful to check your bone, look for hidden caries. In addition, they also show the development of upcoming teeth. Professional teeth cleaning by a dentist includes scaling and polishing. These procedures remove plaque and tartar from your teeth as well as gums. In addition, a dental hygienist is the right person to teach you how to use the toothbrush and floss correctly. You can ask him or her which toothpaste or mouthwash is best for you. Dental care is not limited to practices and services to keep natural teeth in good health. In our life we may lose some or all dental elements. The most common reasons are: accidents gum disease and ageing. People without teeth suffer because two main reasons: poor diet and bad aesthetics. It is very difficult to eat if you cannot chew the food. Your diet is limited and your overall heath is at risk because of malnutrition. Without teeth it is also very difficult to keep social relationships because of embarrassment. There are several dentistry branches that help people to get back their smile and the ability to eat and speak well again. 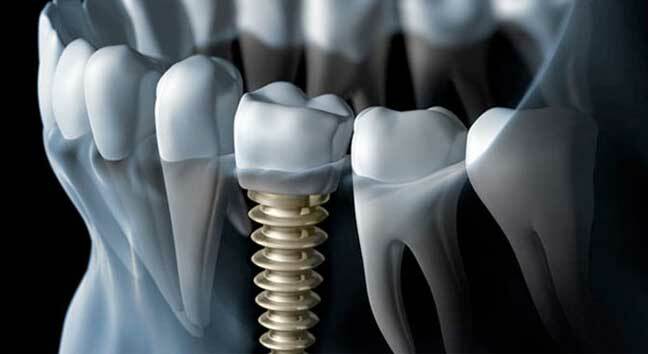 In case of one single tooth loss, one tooth implant and a crown can be the solution you are looking for. If you lost some or all of your teeth, there are different options. First, a removable partial denture that attach to your natural crowns. Third, a full dentures, the one we all know and the most affordable. Last but not least, 4 or 6 dental implants + one prosthesis for complete mouth restoration. How much does dental care cost ? Dental care cost depend on the services you need Here I will list the costs of the most asked procedures without the insurance coverage. A standard teeth cleaning done by a dental hygienist can cost $80 to $250. The price may vary depending on the location of the dental office. If X-Rays are required, you will pay additional $70 to $150. This is the price for the exam called panoramic radiograph. It shows the whole mouth condition. Using this exam, your dentist can check your jawbone, teeth’s roots, sinuses, abscess and infections. Panoramic X-Rays are also indicated in case of cysts, tumors or fractures. Does my insurance cover the dental care price ? For those of you who have a dental insurance there is a good news, insurance typically covers 100% of the cost of a teeth cleaning if the procedure is done once or twice a year. If you need more frequent professional cleanings, it is an out of your pocket cost. 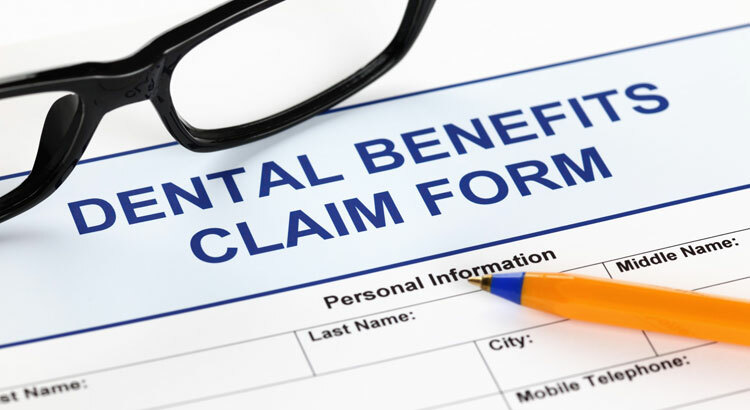 Your dental insurance plan may have a fixed amount they will pay for a cleaning. Before to proceed, check your plan and ask for the dentist fee. Just to avoid unpleased surprises. Where to find affordable dental care services ? Retired and low-income people without dental insurance may have problems to pay for basic dental care and cleanings twice a year. So where to find affordable dental care providers ? Some Dental hygiene schools may offer low-cost dental care services. A student does the job while a graduated supervisor check the procedure. In this way the dental hygiene student can gain experience and the patient can get his or her teeth cleaned. Medicare is a health insurance program for people over 65 people. Their dental care coverage is very limited. Medicare will make payment for oral examinations, but not treatment. The examination would be covered if performed by a dentist on the hospital’s staff or if performed by a physician. Here is the Medicare dental coverage policies. Medicaid provides different dental care benefits for children (under 21 years old) and adult. This PDF file provide you with MEDICAID/CHIP ORAL HEALTH SERVICES information. On this page, instead, there are information about Medicaid and the Children’s Health Insurance Program as well as information about adult coverage. The United Way may advice you where to find free or low-cost dental services in your area. How many times have you listened to the sentence: ”An ounce of prevention is worth a pound of cure” ? Never as in this case, that sentence is true. There are a few and easy dental care rules to keep your teeth and gums healthy. Take care of your teeth brushing and flossing daily. Do not skip checkups and routine cleanings. Avoid bad habits (smoke, alcohol and sticky food). This will make your teeth to last longer even lifetime. Finally, if your dentist detects potential problems, follow his or her advices. Treating disease in advance helps you to save money and avoid costly procedures.